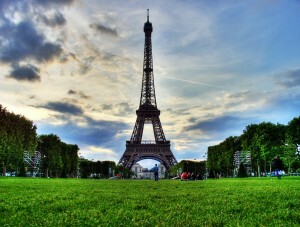 -Avoid tourist traps and discover some less visited places to see in 4 days in Paris. 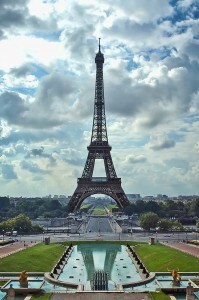 Constructed for the 1889 World’s Fair held in Paris, it has since become the worldwide symbol of Paris. A trip to Paris without going to see the Iron Lady up close is a trip incomplete. If you want to climb the Eiffel it is strongly suggested you purchase tickets in advance to avoid waiting in a 30 minute to 2 hour line. From the Eiffel tower you will walk to the south and enter the Metro at Bir-Hakeim, line 6, direction Charles de Gaulle Étoile, exit at Charles de Gaulle Étoile. 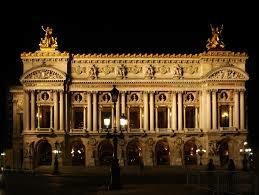 Commissioned by Napoleon Bonaparte in 1806, it was not completed until the 1830’s, some 10 years after his death. It has been the scene of many triumphant entrances into Paris, including the French and Allied forces after the liberation of Paris in the Second World War. 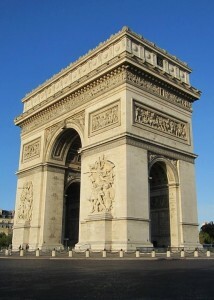 The annual Bastille Day military parade always starts at the Arc de Triomphe. If you choose to climb the Arc de Triomphe it costs 8€. 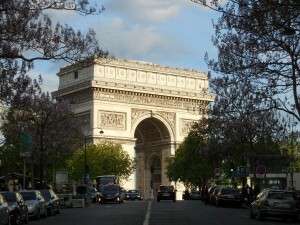 From the Arc de Triomphe you can either choose to explore and stroll down the famous Champs Élysées or catch the metro line 1, station Charles de Gaulle Étoile, direction Château de Vincennes and exit at Hotel de Ville. Getting off at Hotel de Ville you will see the Hotel de Ville, Paris’ famous City Hall. An impressive structure that houses the mayor’s office and many municipal offices. 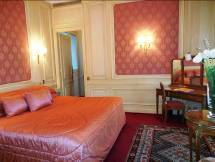 From the Hotel de Ville you will continue south towards the Seine and Notre Dame Cathedral. The famous gothic cathedral of Paris is located on Ile de la Cité and was constructed beginning in 1163. 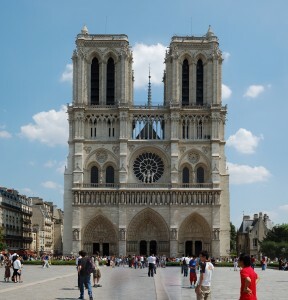 Notre Dame is most famous for her flying buttresses which are located along the sides and back of the cathedral. Equal in architectural marvel is the cathedral’s interior which should not be missed. Notre Dame is as central as it gets, so this would be a perfect moment to find a place to eat. A variety of cafes can be found on Ile de la Cité (the island Notre Dame is on) or you could cross the river to the south and find a large number of cafes, where you are certain to find one that fits your budget and appetite. After lunch head over to the metro stop St-Michel or Cité (depending on where you went for lunch) line 4, direction Porte de Clignancourt. Take this metro to Barbès Rochechouart where you will get off and transfer to line 2, direction Porte Dauphine for just one stop. Exit at Anvers. This metro trip will take about 30 minutes. 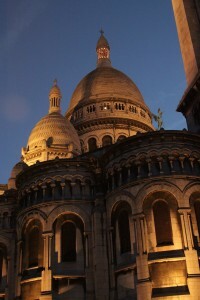 Montmartre is bursting with sights to see. 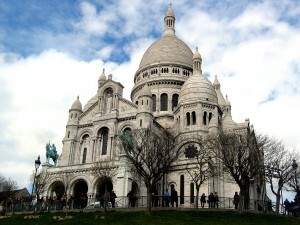 Start off with the famous basilica Sacre Coeur. Constructed between 1875 and 1914 it features a distinctive Romano-Byzantine architectural style that is a must see. 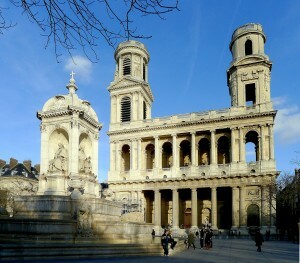 Not only is the basilica beautiful, but the view of Paris seen from its steps cannot be missed. While very touristy it’s worth at least passing by Place de Tertre to see all the artists, before continuing on to quieter streets. Enjoy the real charm of Montmartre by wandering the backstreets of this arrondissement to experience the inspiration of Picasso and other famous artists. Wander your way over to take a quick picture at the Moulin Rouge windmill. 4:00 Get on Pigalle, line 12, direction Mairie d’Issy, exit at Assemblée Nationale. 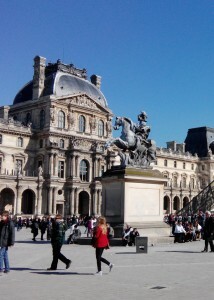 From here the Musée d’Orsay is a short walk. 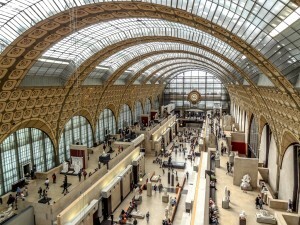 Once a bustling train station this building now houses art from art from between 1848-1914. Most famous for it’s large collection of impressionist and post-impressionist work it is a pilgrimage for impressionist enthusiasts. Entrance 12€. Enter Assemblée Nationale, line 12, direction Aubervillers, get off at Concorde, transfer to line 1, direction La Défense, exit George V.
One of the more famous cabaret shows in Paris, this spectacle is must see. Diner and show tickets start at 165€ per person. Home to one of the world’s largest art collections, one of the most famous masterpieces is Leonardo da Vinci’s Mona Lisa. There are nearly 35,000 objects exhibited, so after viewing the Mona Lisa make sure to leisurely enjoy the endless masterpieces offered in the Louvre’s superb collection. Admission is 15€. 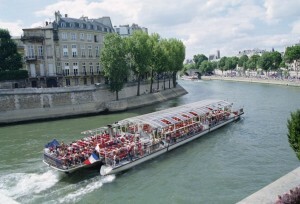 The lunch boat tour allows you to take a pause and eat while still visiting the city. Seeing all of the famous monuments from the Seine provides a whole new perspective and offers unique pictures opportunities. Lunch river cruises cost around 41€. To explore the Marais for a bit get off at metro line 1, stops Hotel de Ville or St-Paul and head north away from the river Seine. This neighborhood is know for the small twisting streets and quaint little boutiques and cafés. 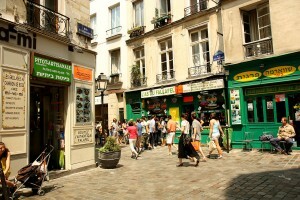 In the Jewish part of the Marais there are various Falafel and crepes shops that are worth stopping by. End your wanderings in Place des Vosges, the first public green space in Paris built by French King Henri IV in 1605. From Place des Vosges enter line 1 metro at either St-Paul or Bastille, direction La Defense. Get off at Hotel de Ville, transfer to line 1, direction Mairie des Lilas. Exit the metro at Arts et Métiers. 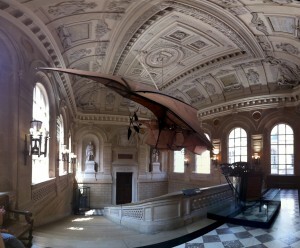 The Musée des Arts and Metiers is a museum dedicated to scientific inventions and innovations. 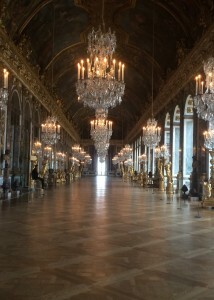 Certainly a lesser known museum in Paris, but one that is still worthwhile to explore. It includes well known inventions like the gramophone, as well as known wonders such as a helicopter prototype developed by the grandson of Louis Vuitton. Entrance 8€. Enter the metro at Arts et Métiers and take line 3,direction Pont de Levallois Bacon, exit at Opera station. Built in 1875, this buildings embodies the spirit of the time and is perhaps best known as the setting of Gaston Leroux’s novel Phantom of the Opera. The interior is decorated in the sumptuous baroque style that leaves visitor awed by the lavish details. Entrance fee is 11€. Enter the metro at Opéra, line 8, direction Balard, get off at Concorde, transfer to line 1, direction La Défense, exit at Champs Élysées Clemenceau. 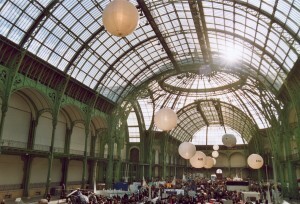 The Grand Palais is unique among galleries since it does not boast of fixed collections, so there is no “must sees” here. Rather come here for the pleasure of in depth exploration on a single subject, almost assuredly unfamiliar before you visit. Ticket prices range by exhibit, but generally do not exceed 15€. 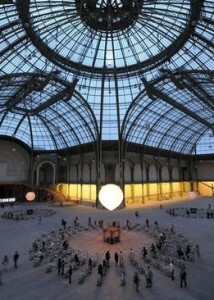 The Grand Palais closes at 8PM. To get to Versailles you will need to take the RER C, direction Versailles Chateau-Rive Gauche. The RER C trains come approximately every 15-20 minutes and will take 30-45 minutes (depending at what station you get on the train at) to arrive at the Versailles train station stop. You need to allow 15 minutes walking time from the train station to your arrival at the entrance gate. The Chateau opens at 9:00 am, but to avoid long lines it is best to get there 15 to 30 minutes early. 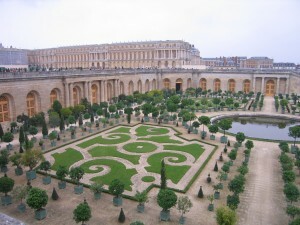 Built primarily by Louis XIV in the 17th century, the Chateau of Versailles is home to the famous Hall of Mirrors, Marie Antoinette Hamlet, and the vast gardens of Versailles. For entrance to the entire domain it costs 18€. For lunch you can either choose to eat at one of the small out door cafes in the Gardens of Versailles or eat at one of the nearby cafes located in the town outside the Versailles gates. Most are fairly priced and delicious. Once you have finished lunch, around 1:00 PM return to the train station to take the RER C back to Paris. Take the RER C to the stop Invalides. From here you will have a short walk over to the Invalides. 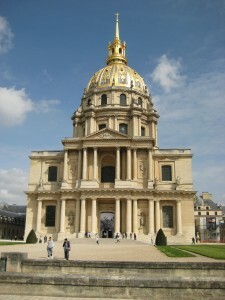 Built by one of the same architects that built parts of Versailles, the Invalides were originally built to house injured military men during Louis XIV’s many wars. Today it houses the Musée de l’Armée and most famously the tomb of Napoleon. Entrance costs 11€. Following the Invalids walk back to the Invalides metro stop and get on the line 8, direction Créteil and exit at Madeleine. 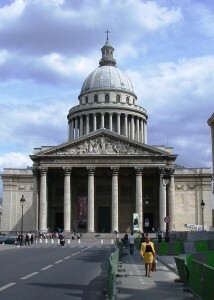 Originally built by Napoleon Bonaparte as a temple to the glory of his army, however following his fall from power, it was dedicated as a church. Unique for its very distinctive neo-classic architecture, it was inspired by the Roman temple the Maison Carée located in Nîmes, France. Return to the Madeleine metro on line 8. Continuing in same direction (towards Créteil) and go one stop to Opéra. 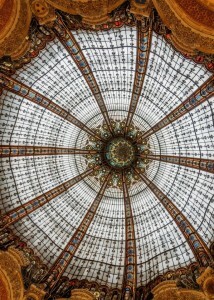 The Galeries Lafayette is just a short walk behind the Opera. 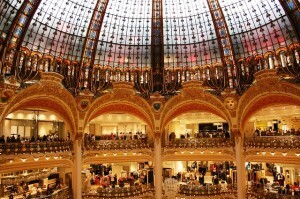 Take a moment to admire the art nouveau glass dome in the center, then begin your shopping experience. Once you have finished shopping take the escalator to the roof to enjoy a unique view of Paris. To arrive take Metro line 4, direction Montrouge, exit Cité stop. This stunning gothic chapel is located on Ile de la Cité just one block west of Notre Dame. It was built in 1248 by Saint Louis to house the crown of thorns, a relic, he brought back from the Crusades. 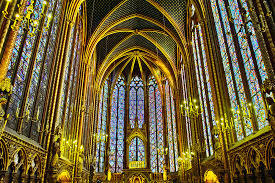 The Most magnificent aspect is with without a doubt are the 15 enormous mid-13th-century stained glass windows, which on sunny days create a breathtaking colorful kaleidoscope effect. 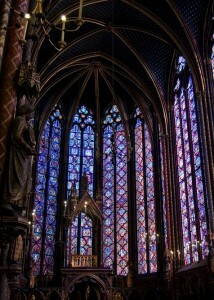 The combined ticket for visiting Sainte Chapelle and the Conciergerie is 15€. 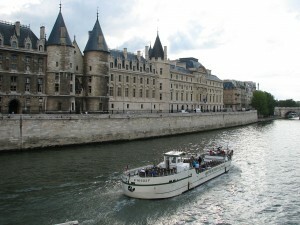 Located next to the Sainte Chapelle, the Conciergerie is part of the old royal residence on Ile de la Cité. It is most famous for being Marie Antoinette’s place of imprisonment before being guillotined during the Reign of Terror. Enter Cité, Metro line 4, direction Montrouge, get off at Odeon, transfer to Metro line 10, direction Gare d’Austerlitz, exit Cluny-La Sorbonne, take exit 3 rue Saint-Jacques. t From the exit cross the street and continue up rue Saint-Jacques for 4 blocks until rue Soufflot. 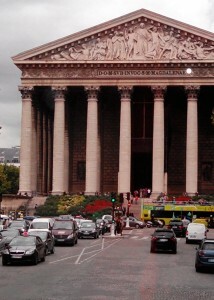 The Pantheon will be on the left. 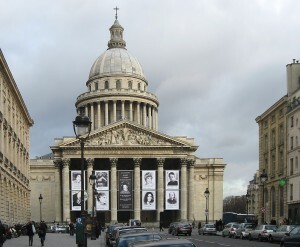 The Pantheon is most well known as the final resting place for some of the most famous Frenchmen from the 19th and 20th centuries. Here you can visit the graves of people such as Voltaire, Emilee Zola, or Pierre and Marie Curie. Aside from the necropolis the walls are adorned with paintings and statues that celebrate important moments in French history. Admission is 7€. 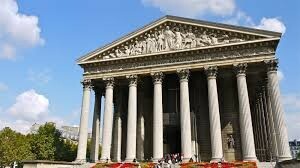 Exit the Pantheon and walk down rue Soufflot to arrive at the Luxembourg Gardens. 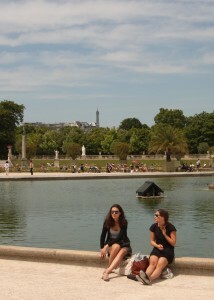 Enroute, grab a sandwich from a nearby boulangerie and take it to the Luxembourg Gardens. Pull together some chairs or sit down on a bench and take part in a favorite Parisian pastime, lunchtime people watching. Exit the garden to the north along Rue de Vaugirard and then take rue Férou continuing north to arrive at the open square in front of Saint-Sulpice. Perhaps best known for its appearance in Dan Brown’s Da Vinci Code novel and movie, Saint Sulpice is a beautiful classically built 17th century church. If you are visiting Paris on a Sunday we highly recommend staying after the final mass to enjoy the short organ concert performed on one of Europe’s finest 6,600-pipe organ. Return to Metro line 4, Saint Sulpice, direction Montrouge, exit at Denfert-Rochereau. Directly across the street is the Catacombs. 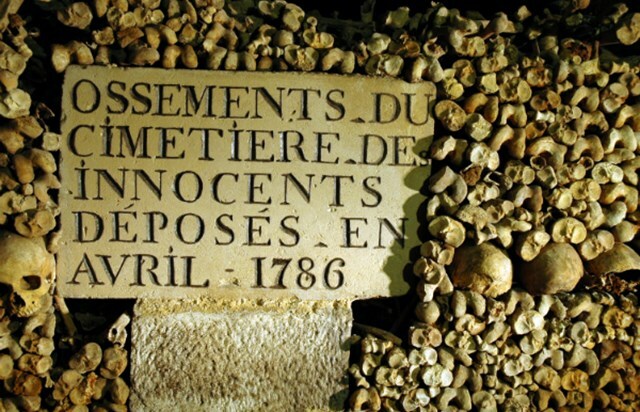 From 1786 until 1814 the Catacombs received bones from cemeteries all around Paris to relieve overcrowding and unsanitary conditions. The relocated bones were arranged to create striking patterns on the walls. This tour might sound slightly morbid, but it is in fact very interesting. The only drawback is the Catacombs popularity can cause wait times up to an hour and a half. The cost of entry is 12€. Return to Denfert-Rochereau Metro Station, line 6, direction Charles de Gaulle Etoile, exit at Montparnasse Bienvenüe. As dusk begins to falls (time will change according to the season of your visit) head over to the Montparnasse Tower. Metro lines 4, 6, 12, and 13 all stop at Montparnasse Bienvenüe. At the tower you will ascend via elevator to the 56th floor from where you can enjoy a drink and a panoramic view of Paris, as the City of Lights begins to glow. Make sure to turn your attention to the Eiffel Tower on the hour (from 8pm-midnight) as the Iron Lady sparkles and dazzles during the first 5 minutes. A perfect way to end your 4 days in Paris. Tickets cost 15€. Hotel a Parigi? segui la nostra recensione. Ricercare un hotel in una città come Parigi è un’impresa ardua. Dopo un preciso processo di selezione, siamo sicuri di consigliare tra i migliori hotel a Parigi possibili. La nostra selezione si basa sul aver compiuto diversi sopralluoghi e aver recuperato informazioni tramite l’incontro con diversi direttori di hotel; Quello che è scaturito è descritto nelle seguenti cinque descrizioni. Hotel Astrid porta il nome della principessa di Svezia, la quale trascorse diverso tempo a Parigi e dove anche, vi morì. 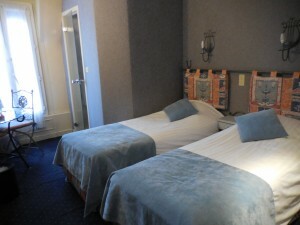 Hotel Astrid è un 3 stelle hotel a Parigi, con una posizione ottimale accanto l’Arc de Triomphe in Rue 27 Avenue Carnot nel 17esimo arrondissement. Il palazzo, del 19esimo secolo è veramente ben posizionato, essendo circondato da molti negozi come paninoteche e ristoranti raffinati, tra i quali ricordiamo la French brasserie e l’Ecluse Carnot. Il quartiere è come un piccolo villaggio e soggiornarci ti darà la sensazione di avere tutto sotto controllo. Perchè prenotare presso l’Hotel Astrid? L’Hotel Astrid è gestito da una famiglia dal 1937, la quale ha costruito di anno in anno la soddisfazione dei clienti. Al primo piano, la sala d’attesa è appena stata rinnovata e le grandi finestre presenti lasciano entrare una grande quantità di luce regalando una piacevole sensazione di relax. L’hotel Astrid basa la sua forza sulla sua ospitalità, l’intero staff è efficiente e sarà di aiuto per ogni sua evenienza. L’arredamento è per lo più di stile contemporaneo ed è abbellito da quadri di stile classico. Anche se localizzato al confine di una strada di grosse dimensioni, il palazzo è totalmente insonorizzato e le camere sono silenziose e tranquille. Le camere sono di buone dimensioni e alcune hanno un piccolo balconcino dal quale vi aspetta una vista spettacolare su l’Arch de Triomphe. I prezzi partono da 150€ per notte. Le camere di questo hotel vanno a ruba a causa di un eccezionale rapporto qualità prezzo. Assicurati di prenotare in anticipo per trovare ancora posto. Le Relais Bosquet è un hotel 4 stelle ben posizionato al centro di Parigi, accanto alla Torre Eiffel, a Le Invalides e alla bellissima strada piena di mercatini Rue Cler. L’intera area, accanto alla Torre Eiffel, regala una vera e propria esperienza parigina. Perchè prenotare presso l’hotel Relais Bosquet? L’Hotel Edouard 7 ispira il suo nome al Re d’Inghilterra figlio della Regina Vittoria, la quale regnò nel 19esimo secolo. Si trasferì a Parigi a causa della cattiva relazione con la madre, la quale era una persona molto conservativa. Edouard amava Parigi perché lì trovò l’atmosfera libertina che differenziava la città dal resto d’Europa. 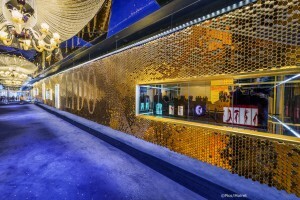 Questo hotel a Parigi è situato nel cuore della città, in 39 avenue de l’Opera, in uno dei quartieri più prestigiosi e di lusso della città. Il centro commerciale Galleries Lafayette è a pochi passi a piedi mentre il museo del Louvre è raggiungibile in 10 minuti. Prechè prenotare preso l Hotel Edouard 7? L’hotel Edouard è un 4 stelle che dopo la ristrutturazione del 2014, ha mantenuto intatto lo stile originale dovuto ai dettagli che furono di ispirazione di Re Edouard. Il mobilio e l’arredamento sono veramente soddisfacenti. Le camere da letto sono 69 normali più 10 suite, tutte di buona dimensione e molto luminose. Il ristorante “La cuisine de l’E7” ha una cucina raffinata il quale menù, cambiando stagionalmente, alterna pesce e carne da diversi produttori locali, mentre la frutta e la verdura viene fornita da agricoltori biologici. All’occorrenza, l’Hotel Edouard 7 possiede 2 sale riunione, di 55 e 43 metri quadrati e per i più sportivi un centro fitness super fornito. I prezzi vanno da 220€ a 650€ per notte. 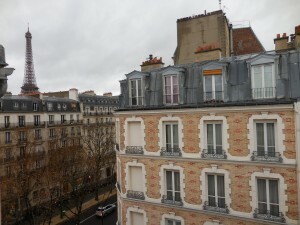 L’Hotel Raphael è una tipica, antica maison parigina, situata a pochi metri di distanza da Arc de Triomphe. 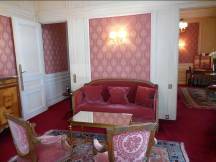 Con il suo stile antiquato e classico, l’hotel Raphael regala una sensazione romantica, sopratutto apprezzabile da coppie in cerca di tranquillità. (alcuni vecchi specchi nei corridoi dell’hotel hanno piccole macchie dovute al tempo. Ci si sente come in casa di qualcuno). 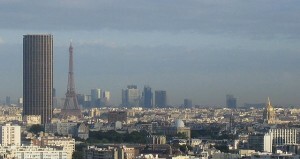 Dalla maggior parte delle stanze si può ammirare un eccezionale vista sulla Torre Eiffel e sull’Arch de Triomphe. Prechè prenotare presso l’ Hotel Raphael? Hotel Geroge V porta il nome del Re del Regno Unito nel 19esimo secolo. Esso è situato a pochi metri di distanza da Champs Elysée e dal flagship store di Louis Vuitton. Trovandosi al centro esatto della città questo hotel regala una spettacolare vista di 360 gradi. Tutte le attrazioni principali della città sono facilmente raggiungibili da qui: Torre Eiffel, Arch de Triomphe etc. L’hotel Gerorge V oltre a fare parte del gruppo Four Seasons, è un “5 stelle Palace Hotel” la più alta categoria di hotel nel mondo. Prechè prenotare preso l’hotel George V? L’hotel George V è per i più esigenti! Come hotel 5 stelle Palace possiede 2 famosi “gastronomy restaurant”, Le Cinq e Le George. 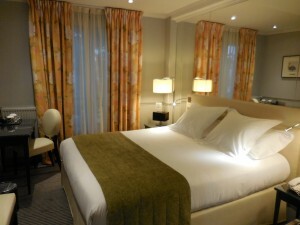 Questo hotel è uno migliori e più lussuosi hotel a Parigi, tutte le camere da letto sono molto costose, partendo da un prezzo per notte di 1200€. La colazione non è inclusa e costa 46€ per la continental o 58€ per l’american. Soggiornare presso l’hotel Geroge V è un esperienza unica di vita parigina, l’ospitalità e il servizio sono praticamente perfetti. Ecco sulla mappa dove si trovano gli hotel! Located in the 6th arrondissement of Paris, Saint-Germain, also known as Saint-Germain-des-Près, is a famous quarter with a good selection of restaurants, boutiques, cafés and museums. Named after the oldest church in Paris, this quarter is situated right by the Seine and is known to be one of the more high-end areas in Paris. 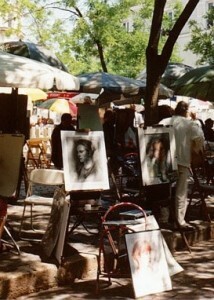 When the weather is nice outside (mostly during the summer), you will find many local artists and art dealers lined up on the street trying to sell their pieces. There are also several art galleries along the streets in Saint-Germain, holding artworks that are truly exquisite. Historically speaking, this neighborhood has seen many renowned figures throughout the decades, in addition to being an area of central activity during the French Revolution. The most famous cafés in this area used to be frequented by people such as Ernest Hemmingway, Simone de Beauvoir, Picasso and Jean-Paul Sartre. 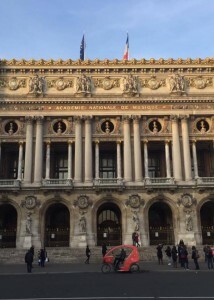 Furthermore, L’École de Beaux-Arts, one of the most notable schools in France is located in the quarter. At one point in time, it was the most prestigious art school in the world, graduating some of art history’s infamous painters, such as Monet, Fragonard and Delacroix. Within the neighborhood, there are many museums; the popular ones being Musée National Eugène Delacroix and Musée du Luxembourg. Musée National Eugène Delacroix is a museum dedicated to the artist whom it is named after and is located in his last apartment. More than 1000 works of Delacroix rest in this museum. Musée du Luxembourg was initially an art museum and is the first museum of contemporary art in France; however, now, it is more like an art gallery with temporary exhibitions. 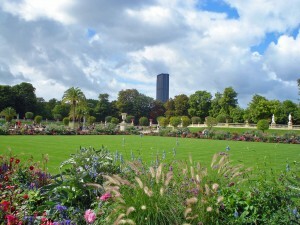 Towards the south of the quarter, you will find the Luxembourg Garden and the Luxembourg Palace. 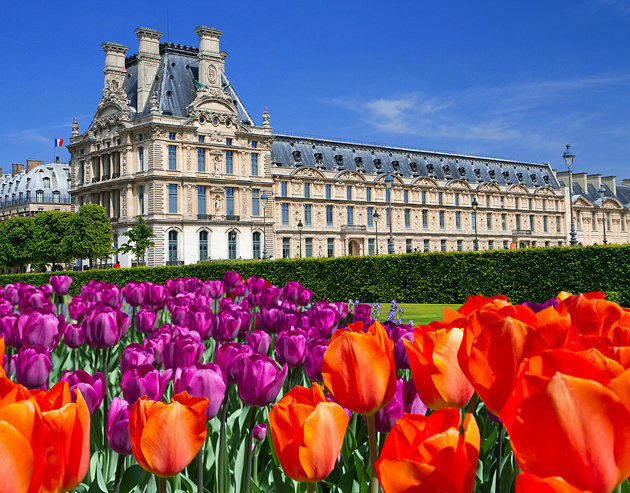 The Luxembourg Garden and Palace were both constructed for King Henry IV’s widow, Marie de Medici in 1612. The garden itself is over 20 hectares and is a great place for a flâneur or a person who loves to stroll around. This palace has been a legislative building, the headquarters of the Luftwaffe in France and also, the site for the Paris Peace Conference. 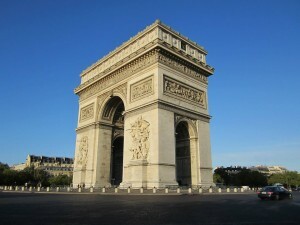 There is a lot of history within this monument and it is definitely a site to see when in Paris. 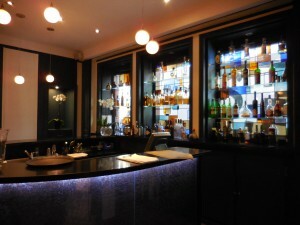 In the years following World War II, cafés and bars in the quarter became very popular. As a result, many small jazz cellar clubs popped up throughout the neighborhood. Even though the bars from that time period have been closed for a long time, there are still a few cafés, such as Café de Flore, Brasserie Lipp and Les Deux Magots, in the neighborhood that have still remained. These cafés were the locations for many meetings held by Simone de Beauvoir and her partner, Jean-Paul Sartre during the existentialist movement. On rue de l’Ancienne, you can also find Café Le Procope, founded in 1686, it is apparently the oldest café/restaurant in France, having served some of America’s and France’s important figures, including Thomas Jefferson, Benjamin Franklin, Balzac and Victor Hugo. 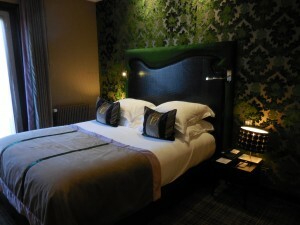 For more information where to stay in Saint-Germain, check out our article on hotels. 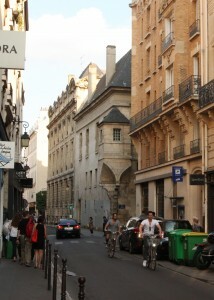 Saint-Germain-des-Près was home to many notable figures and still remains one of the most visited neighborhoods in Paris. 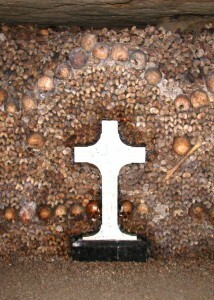 The Catacombs of Paris are an interesting site to see, but beware, this place might not be for everyone. 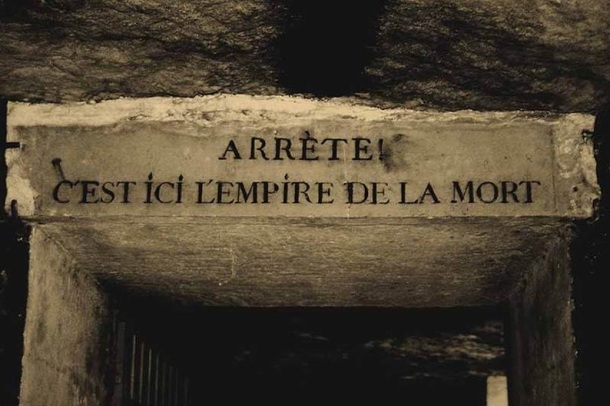 Even though this site contains a great deal of information and questions about Paris’ history and geography, there are many bones and skulls lined up all throughout the passage. Therefore, if you do not have a tolerance for skulls and bones or are claustrophobic, I would definitely not recommend this place. However, if what I just said does not change your opinion or even peaks your interest, then here’s some background behind the tunnels used for mining and as the burial grounds for approximately 6 million people (at least from the parts of the catacombs that have been discovered so far). During the 17th century, there were two main problems and the French government decided to solve both these problems together. The first problem was an overflow of bodies in the cemeteries, specifically Saint Innocents. The initial solution was to exhume bodies and store them within the walls of the cemetery, but the cemeteries were still running out of space, due to the high amount of people dying from problems such as famine and disease. Simultaneously, in some of parts of Paris, the ground had started to cave in. As a result, many tunnels used for mining had been discovered. There was a huge chain of tunnels that still to this day have not been completely discovered. These tunnels were primarily used for mining limestone, a material utilized in the construction of roads, bridges and buildings all over Paris. However, the tunnels had been abandoned and forgotten during the 13th century. Due to these problems, the two problems were combined into a solution where all the bodies were transferred to the tunnels beneath the city. Public visits to the Catacombs began as early as the 1800’s; however, only the higher classes could afford to visit the mines with the permission of a mines inspector. 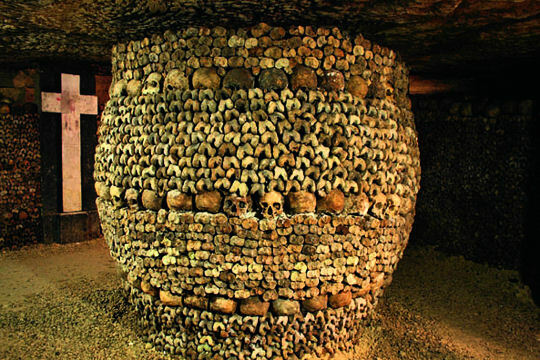 For a short period of time, the catacombs were even closed to the public for about 17 years, due to the church’s disapproval towards exposing human bones to the public, before being reopened. After increasing demand over the years, the opening hours gradually grew from 4 visits per year to daily visits. The entrance to the Catacombs of Paris is located in the 14th arrondissement (Denfert-Rochereau Metro Station) and costs $12, excluding the audio guide. The public only has access to a small part of the tunnels, but the walk through the tunnels still takes a good 45 minutes, covering a distance of 2 km (~1.25 miles). The tunnels are rumored to be approximately 170 miles (280 km) long, laying directly underneath the city. There is only one entry point to the public, a spiral staircase of 130 steps. Before going downstairs into the tunnels, there is a small exhibit that explains Paris’ geological history. Within the tunnels themselves, the bones have been organized by the cemeteries they were transferred from, including the year. Since the tunnels are underground, the temperature is lower than it is outside, so it would be a good idea to bring a sweater with you, even if you are visiting during the summer. Starting in the 1970’s, the Catacombs of Paris developed many followers, better known as Cataphiles, who enjoy discovering the mines underground illegally. These explorers find and create new passages to different parts of the carrières de Paris (quarries of Paris). 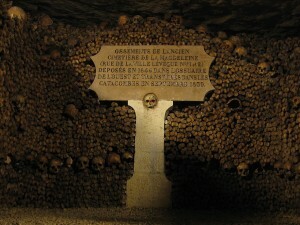 It is believed that you can enter the Catacombs through the sewers, metro and other man-made holes. Because there are electrical wires, pipes and other elements that can make it difficult to explore the Catacombs, accessing the catacombs unofficially is heavily fined. The Cataphiles have been mainly associated with artistic movements, particularly when in September 2004, an underground movie theater was discovered by the police. Since there are other official entrances for employees and excavators, there are some people who carry the key and might use it for illegal access. To this day, there are many Cataphiles who still go underground to either explore and add to their maps, photograph, paint murals or even dig more tunnels.